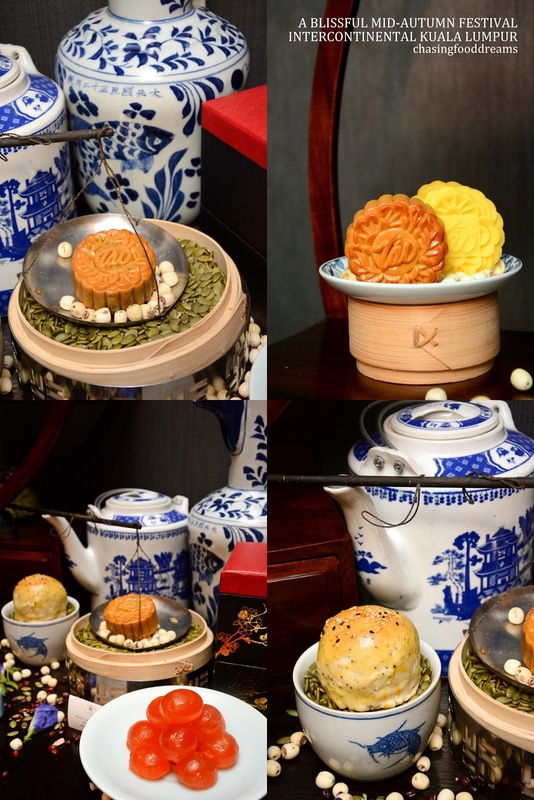 For this Mid-Autumn festival, award-winning Tao Chinese Cuisine is featuring exquisite handmade mooncake delicacies with A Blissful Mid-Autumn Festival theme. A season to share and gift mooncakes to all, it is also a time to gather and create memories of togetherness with loved ones. Master Dim Sum Chef Lo Tian Sion and culinary team from Tao Chinese Cuisine is showcasing a selection of traditional classics as well as modern creations of new flavours using the finest ingredients for this year at Tao. The mooncake selection is available for dine-in or purchase from now until 24 September 2018. The Blissful Mid-Autumn collection features 10 exquisite mooncakes from classic favorites to new flavours of this season. Available from now till 24 September, 2018, the mooncakes are available at the hotel lobby. One mooncake stole the limelight and it’s a savory one! The Shanghai Style Baked Black Pepper Smoked Duck Meat with Yam (RM43) is deliciously unusual and has quite a peppery bite. The short pastry encases a generous filling of chunky smoked duck with creamy yam. Inspired by Taiwanese scallion pancake’s aroma, Chef Lo amps up his creativeness with this mooncake. Available for dine-in only as the mooncake is baked to order and is best-eaten fresh and hot from the oven. For those who prefer touches of lux, the Marble Snow Skin with Butterfly Pea Flower and Bird’s Nest (RM43) may be your best bet. Pretty at sight, the marbling blue tinge is unusual and enticing. The filling is delicately sweet, with a tender texture of the bird’s nest. Another mooncake to look out for is the Snow Skin with Japanese Green Tea and Cherry Jelly (RM31). A modern flavour inspired from Japan, the hits of tang from the sour cherry jelly balance up the intense green tea flavour quite well. The Snow Skin with Durian Paste and Oats (RM43) was a crowd pleaser. Filled with pungent aroma and flavour of the king of fruit, oats added touches of texture as well as a healthy note to the mooncake. The baked mooncake takes on more classic flavours with White Lotus Paste with Single Yolk (RM27) and Pure White Lotus Paste with Nuts (RM25). Can’t go wrong with classic flavours that has stood the test of time! The Traditional Mixed Nuts (RM31) has always been and will always be a popular choice for mooncake traditionalist. This one is beautifully jam-packed with lots of nuts and bits of dried fruit. Black sesame has become quite a favorite for the last few years and so the Black Sesame Bamboo Charcoal with Single Yolk (RM27) is now considered a classic that many favors. Savour our mooncakes from InterContinental Hotel or our Mid Valley Megamall mooncake booth and receive 30% off. Just make your purchases before 24 September, 2018! Indulge in our mooncakes from our Mid Valley Megamall mooncake booth and receive 30% off. Just make your purchases before 24 September, 2018 or while stocks last! Our beautifully crafted gift box is designed with elegant peach blossom illustrations to signify Tao Chinese Cuisine’s award-winning menu. Purchase a minimum of 4 mooncakes and receive a complimentary gift box or add on RM10 when you purchase 2 mooncakes. You can also enjoy 25% off when you purchase 50 boxes or more and get complimentary delivery.